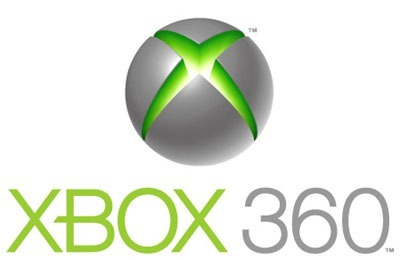 If you’re an Xbox 360 user, you’re likely always striving for added features and enhanced software, and so far Microsoft hasn’t treated its users badly at all, with new updates coming up fairly often, including a major user interface redesign in the past years. Now, it seems as if Microsoft is gearing up for a another new Dashboard update for the Xbox 360. A video depicting a leaked build of a future version of the Xbox 360 Dashboard has surfaced today. The software, which was allegedly obtained from an “anonymous source”, is said to be arriving on every Xbox 360 on either later this month or sometime next month and it is gorgeous. The user interface has yet again been updated, moving away from the previous green color scheme and adopting a tile-based interface, much like Windows 8 and Windows Phone 7. Navigating through those tiles looks like it will be fairly easy using a standard Xbox controller. There’s more to this update besides nice new graphics (although, let me state again, they are nice). The new Dashboard will now include built-in Skype support, bringing VoIP support for the first time to the platform. Allegedly, Microsoft’s implementation of Skype will work similarly to how the software works on traditional computers today, although it’s not yet known how it will actually operate. What we know, however, is that this is likely the first positive outcome of Microsoft’s acquisition of Skype earlier this year, where the promise was made to tightly integrate Skype with Microsoft’s platforms. There are additional social features such as Beacon, which allows Xbox LIVE subscribers to notify others about future game plays, through Xbox LIVE itself or Facebook. If you intend to play a game in the evening, for example, you’ll be able to notify your friends about it. This advancement is so simple that it’s puzzling why it took Microsoft nearly 6 years to make available, but I’m still glad it’s there. YouTube support has also been added, along with Bing, making the Xbox an even more Internet-connected console. Previously, Netflix was the only user-friendly way to stream online video through the Xbox, but YouTube support will tap into a whole new world of viral, amateur video that was previously hard to access on the console. As with any Xbox update, this one is expected to receive a fair amount of criticism, but it’s a good update. If you want to take a look at the whole feature set, as well as more screenshots, check out the video below.